For anyone that knows me in real life it will be fairly clear that this box is my dream. I adore bath products (a lot) and all things packaged in cute boxes with pink streamers and gorgeous smelling contents so this was always going to be a winner for me. 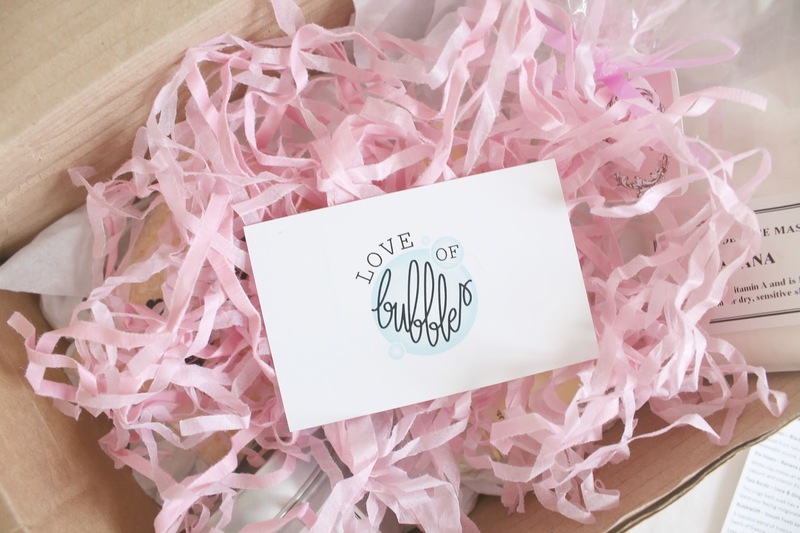 I was contacted by the lovely Ellie a couple of weeks ago about the launch of her company Love of Bubbles and was so very eager to give the products a go after loving the concept so much! I've never really been one for subscription boxes because of the pressure of paying every month etc but the wonderful thing about this box is that you're able to order on and off for whichever month takes your fancy without a rolling fee. Each months box is inspired by a different theme with September's being tooty fruity! The box includes a candle (my fave item), bath salts, a bath cream, a face mask and a soap and literally every product featured in the box smells absolutely divine. On a first impressions basis my favourite items at the moment are definitely the black raspberry and peppercorn candle which is in the cutest tin box and smells AMAZING and also I'm also really excited to try the lil strawberry bath cream. Another aspect of the Love of Bubbles boxes that I think is really important to talk about is that all of the products featured are vegan friendly! I know for a lot of people this is a really important factor when buying cosmetics products and I think it's so lovely to see independent companies placing emphasis on vegan friendly products too. Each item within the boxes are hand picked with the intention of best fitting that months theme which is another thing that makes it v v special! I'm particularly looking forward to trying the banana face mask from this months box which includes so many great ingredients such as honey and yoghurt powder which I'm sure my skin will appreciate a lot right now. I'm thinking of doing a more in depth mention of products with my thoughts on how much I like them after trialling them properly but at the moment I've been a little overwhelmed by opening this gorge box of surprises! Also side note, my box was secured with watermelon washi tape. What more could I want ?? 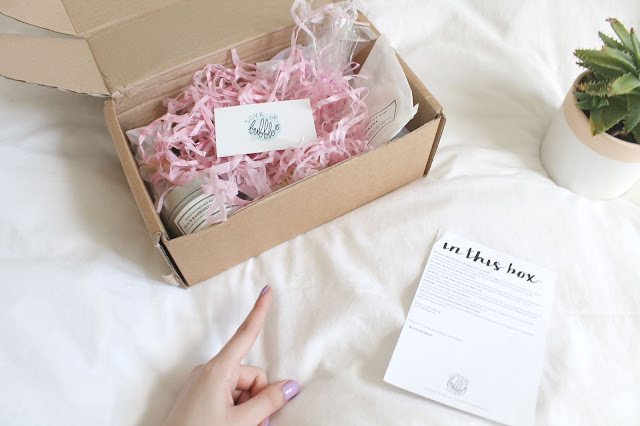 September's box is currently reduced to £15.50 (usually £18.50) so make sure to grab one ASAP!